Dazzling, isn’t it? 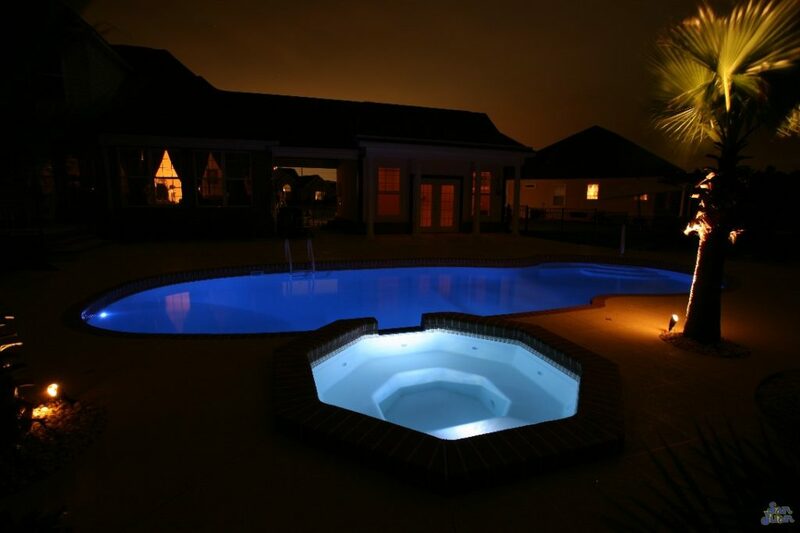 This Pleasure Island fiberglass pool is absolutely stunning at night! 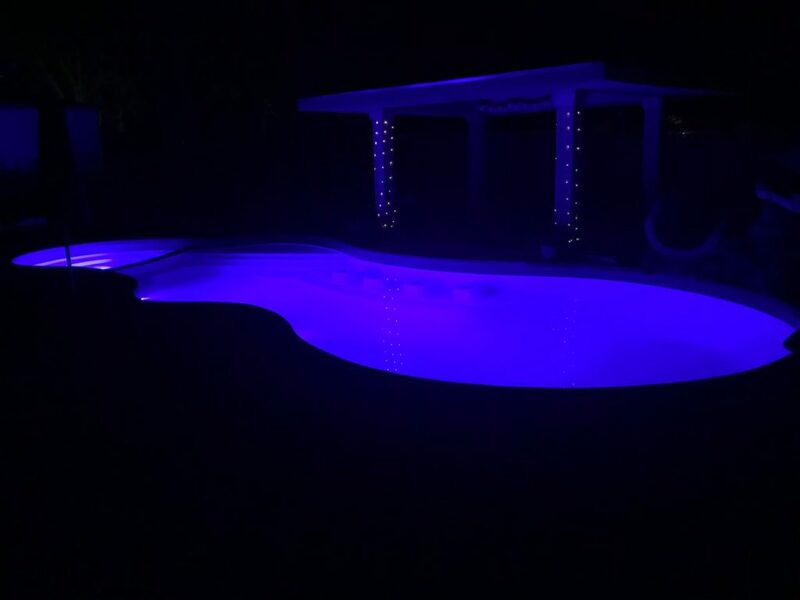 We paired the pool with the Pentair Globrite LED Lights & an Easytouch Automation system for complete palm-of-your-hand control experience! 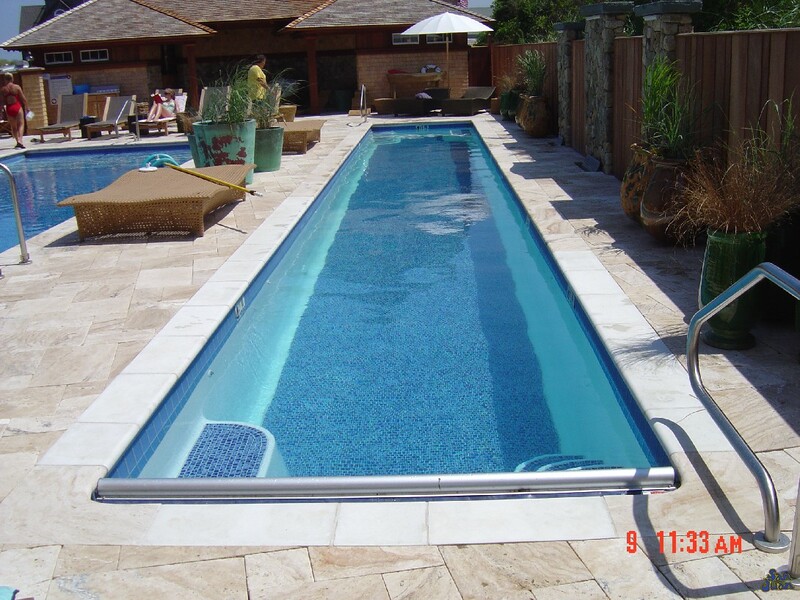 Pictured above is the eye-catching Pleasure Island fiberglass pool shell installation that Fiberglass Pool Guyz just completed in late July, 2018! 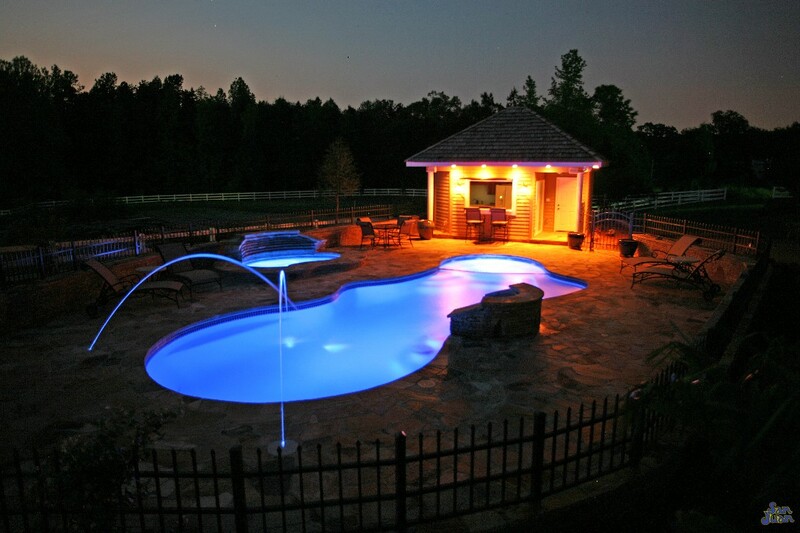 As you can tell, the Pleasure Island Pool Model is a fun pool shape designed for everything from casual, backyard play to swanky entertaining. With a 16-foot-2-inch width and 39-foot-1-inch length, the Pleasure Island offers enough room for your whole family! 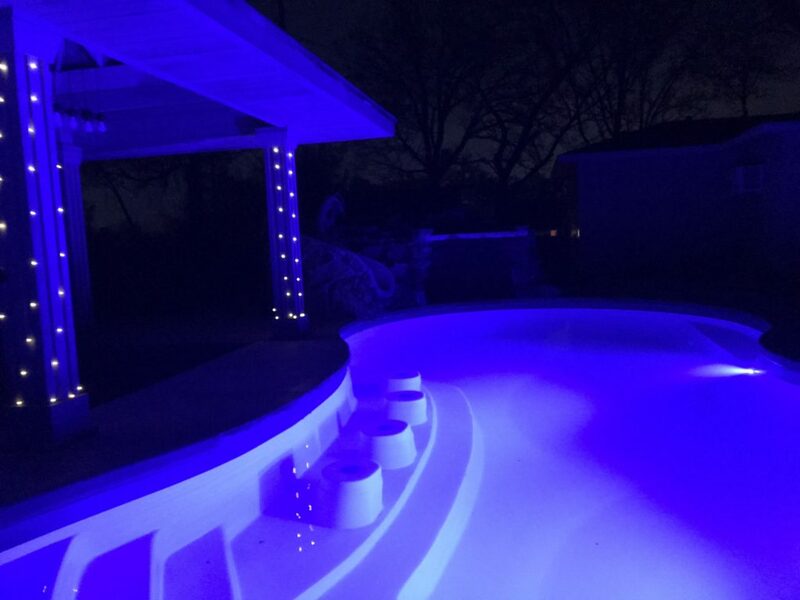 This pool is one of our top sellers by way of design and sales, and a ton of our customers agree that they especially enjoy this model due to its versatility with add-on water features, including LED Lighting and game accessories. 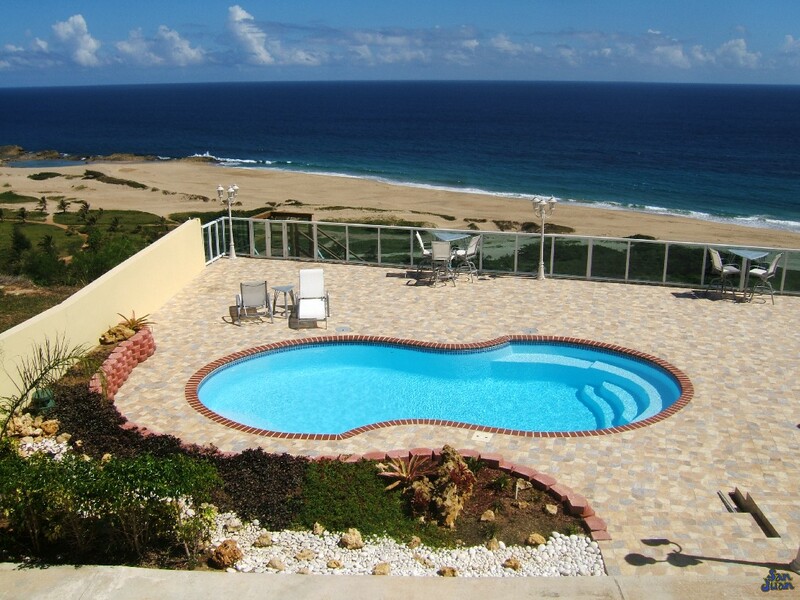 Has this beautiful swimming pool caught your eye? Trust us, there’s even more to get you excited about the Pleasure Island pool. Here is a closeup image showcasing the gorgeous interior layout of the Pleasure Island swimming pool. Illustrated in this image is the built-in bar seating with the shallow end entry steps (left). Our home owner also developed a exterior pergola with an outdoor kitchen to complete their outdoor living space. Absolutely stunning! 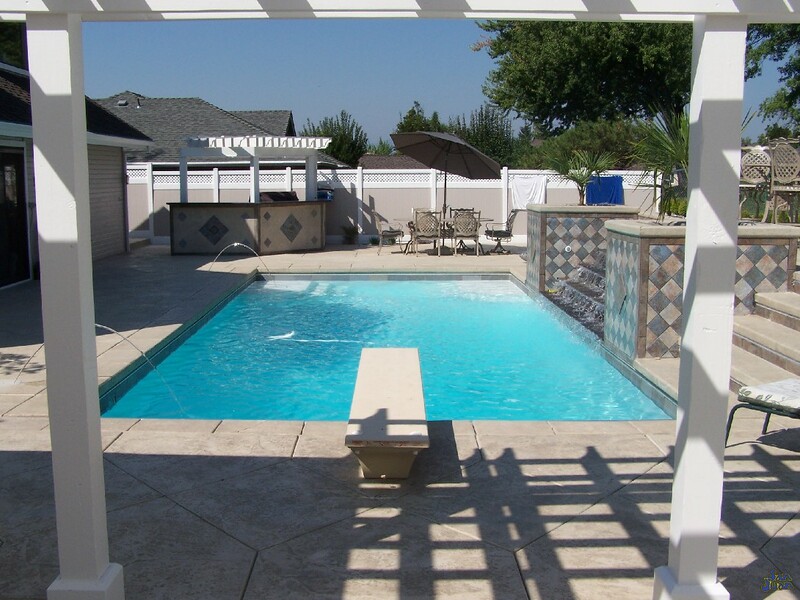 Picture this: you and your loved ones are enjoying a sunny afternoon in the pool when you decide that you need a refreshment. 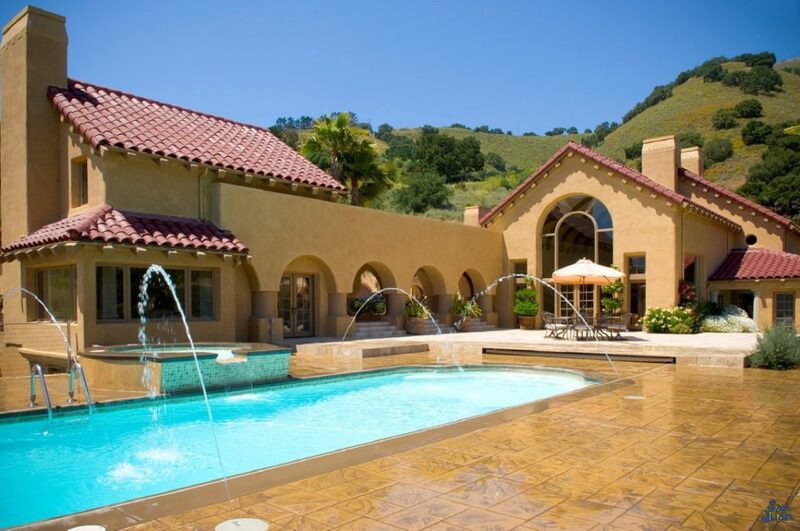 Don’t you worry — there’s no need to even leave the pool! 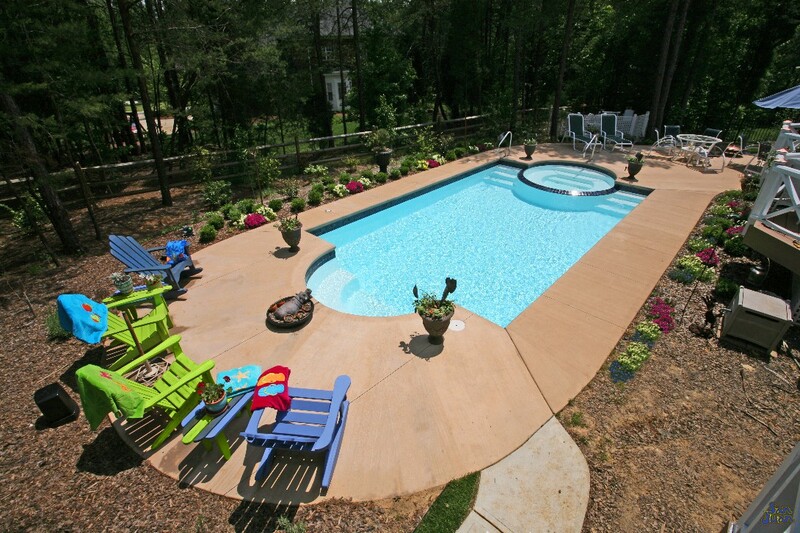 This fun swimming pool design comes equipped with built-in bar stools. 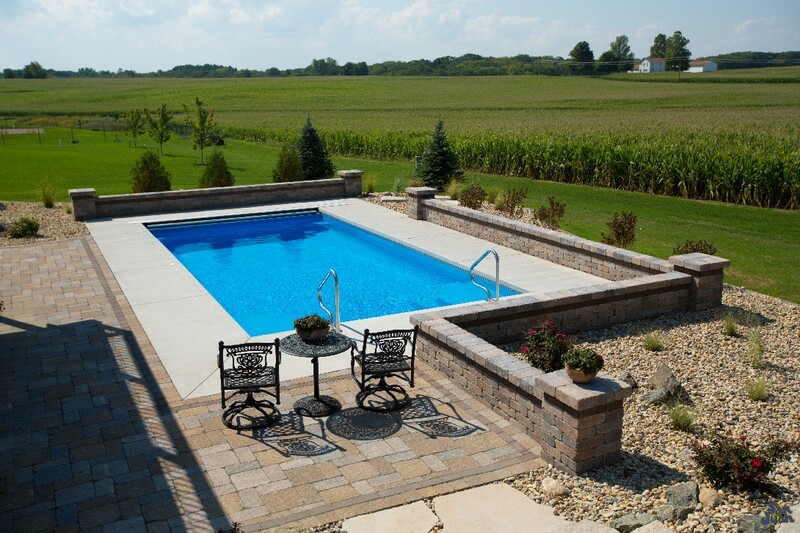 Now you can sit and enjoy a drink at the edge of the pool without ever leaving (just as long as you find someone to deliver the drink to you, haha!). 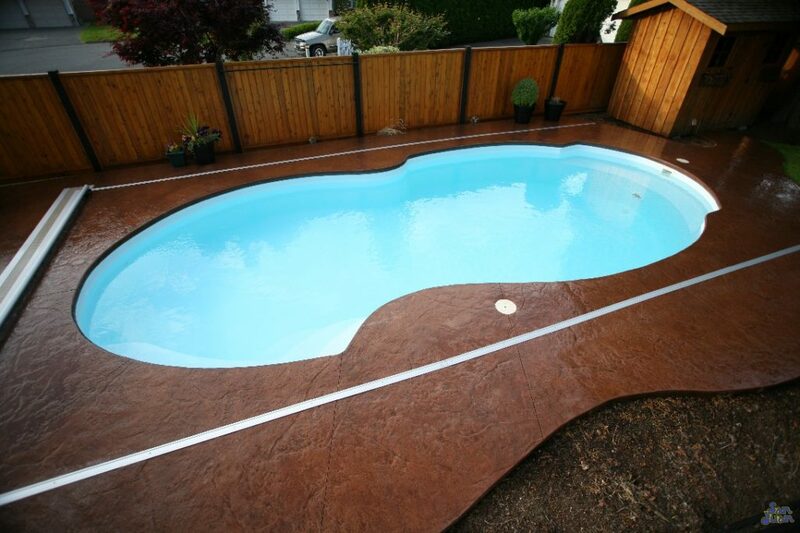 This awesome fiberglass pool shell also comes with an attached spa. 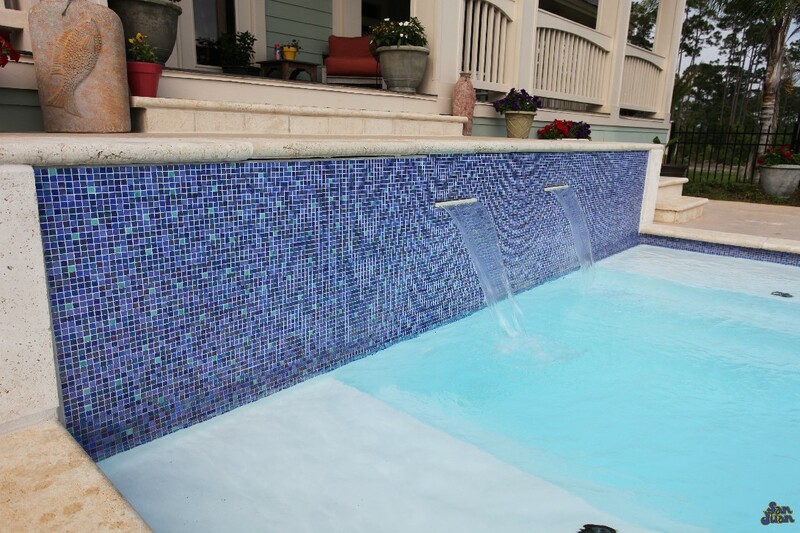 The built-in hot tub is perfect for extending your swim season into the early spring and late fall. 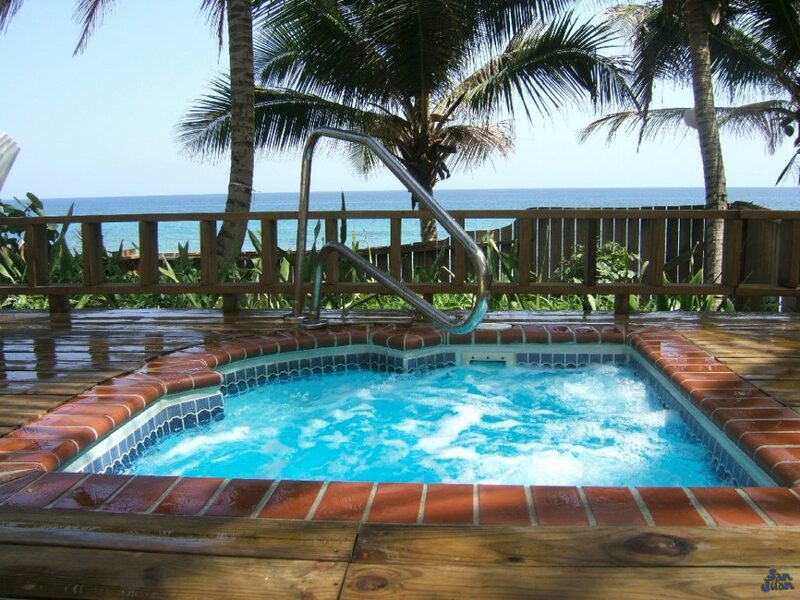 The Pleasure Island hot tub ensures that you and your guests will always have steamy waters to enjoy! 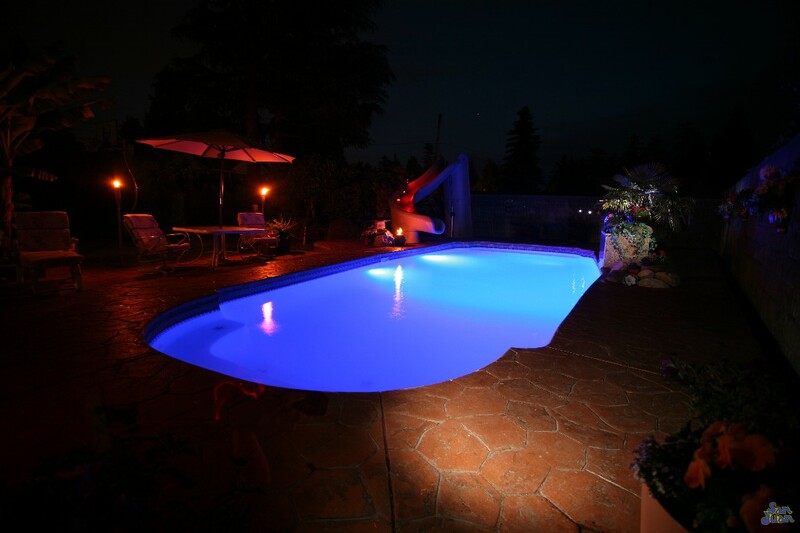 And don’t forget about the joy of night swimming! 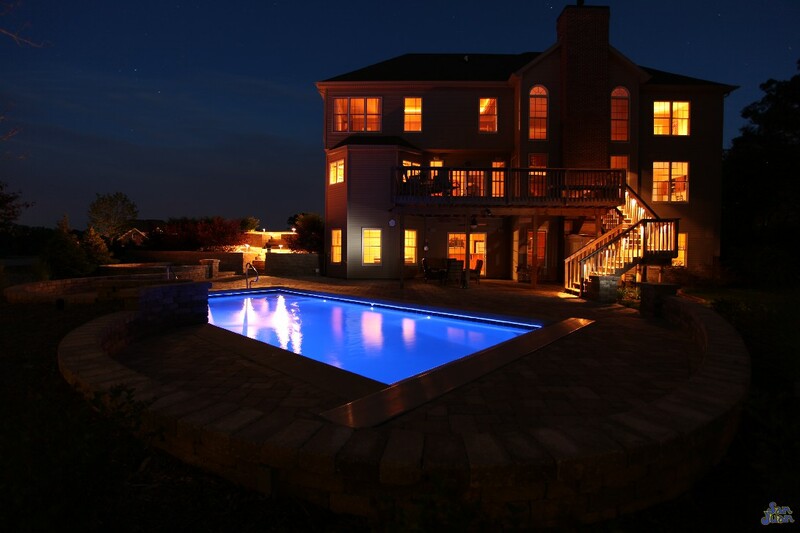 Our Pleasure Island fiberglass pool shell can be hooked up to the state-of-the-art LED Globrite technology developed by Pentair. With advanced color functionality, you can select 5 different color variations and 7 different light show settings. 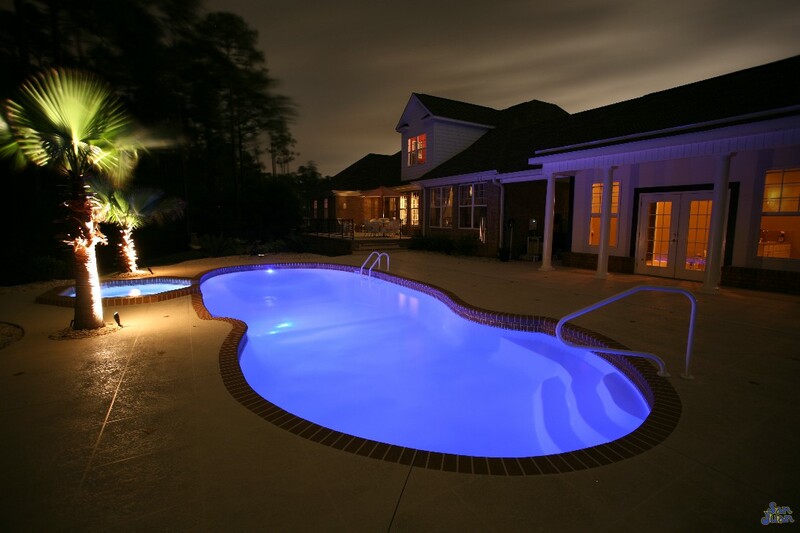 Your guests will be blown away by the beautiful colors that glow throughout your pool even after the sun goes down. Better yet, all of this LED technology is controllable from the palm of your hand! That’s right — these Globrite Lights use the Easytouch Automation package combined with the Screen Logic 2.0 for complete smart phone controls. 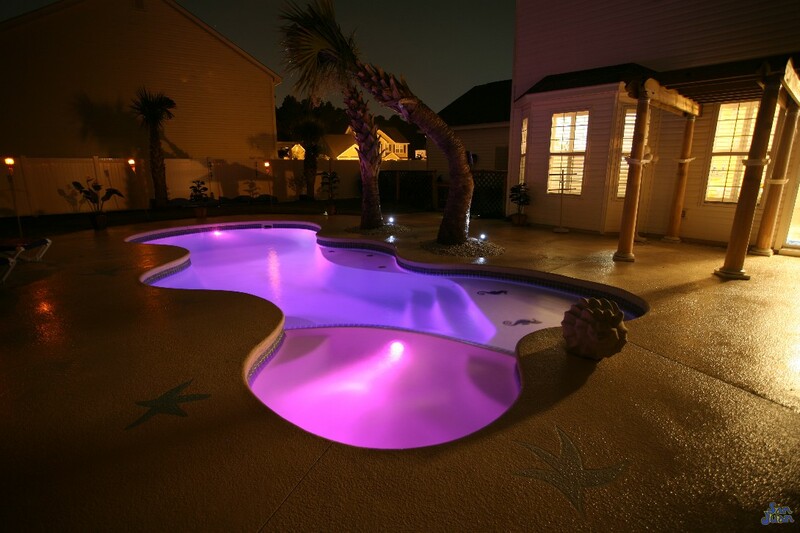 Even when you’re out of the water, you can change the light settings and be the master of your Pleasure Island swimming pool! 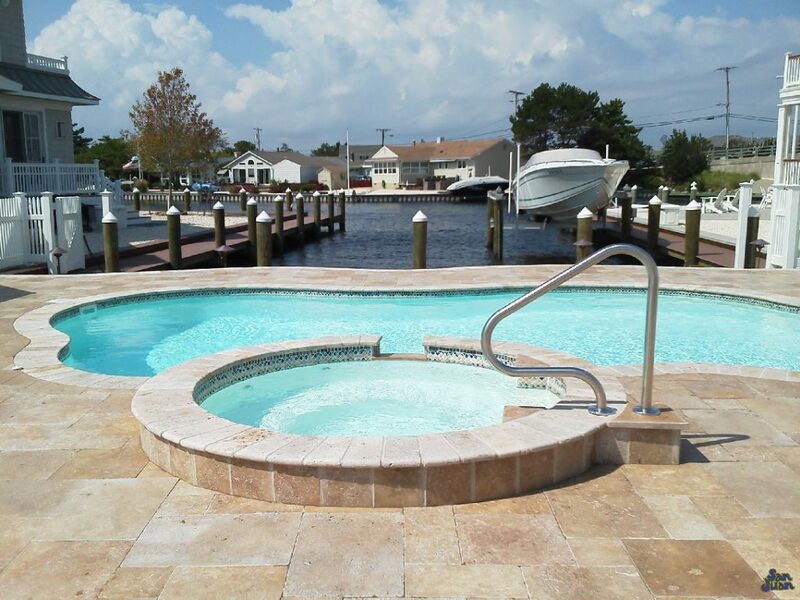 The free-form shape of the Pleasure Island fiberglass pool shell will transform your property into the perfect party spot! 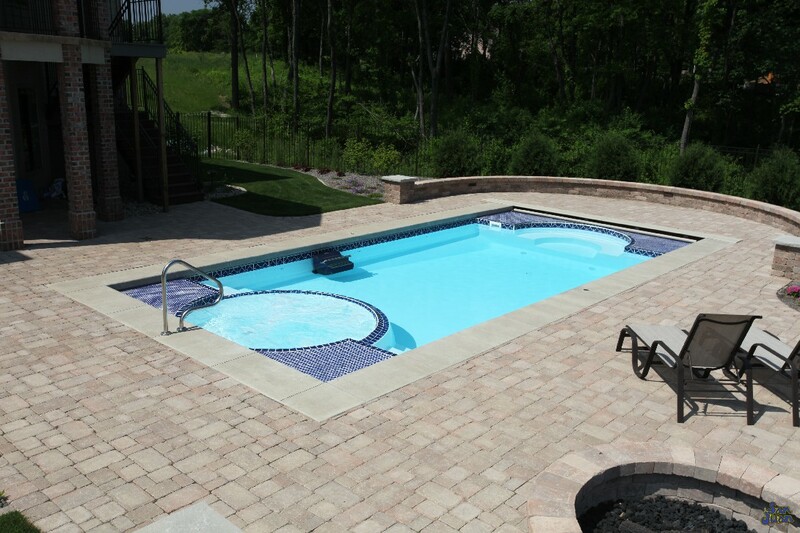 As we mentioned before, this pool is a top seller for a reason: it’s fun, diverse, and compatible with literally hundreds of design options. 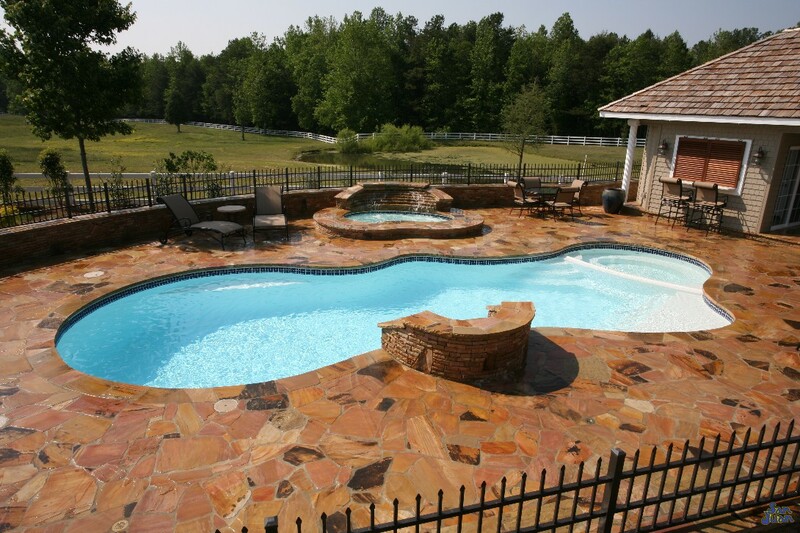 Creating customized features is easy to do with this gorgeous pool shell and we know it would go great in any backyard. 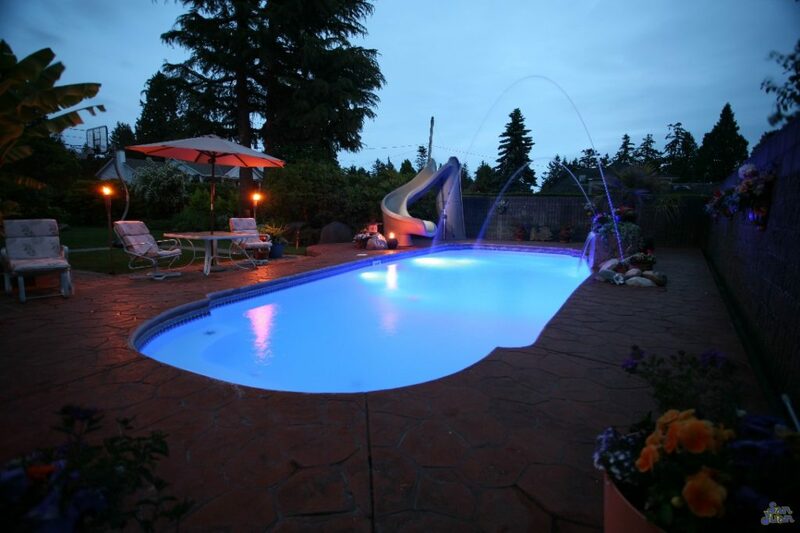 We design the Pleasure Island swimming pool to handle all of the features you desire. 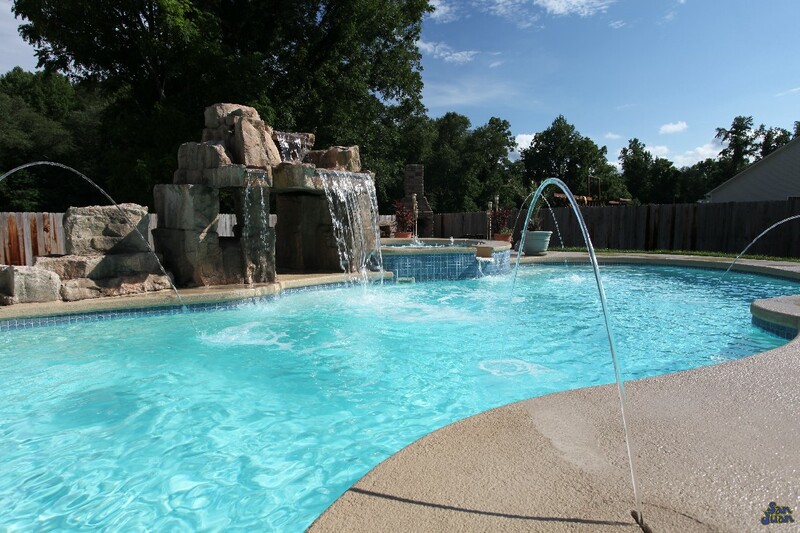 After having the Pleasure Island pool installed, you may decide you want to add additional water features. No problem! 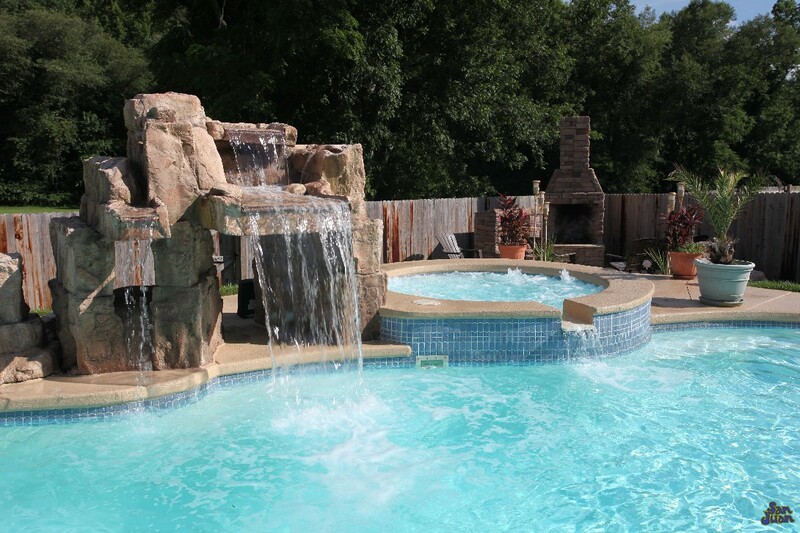 Water features create a brilliant and fun design for children and adults alike. 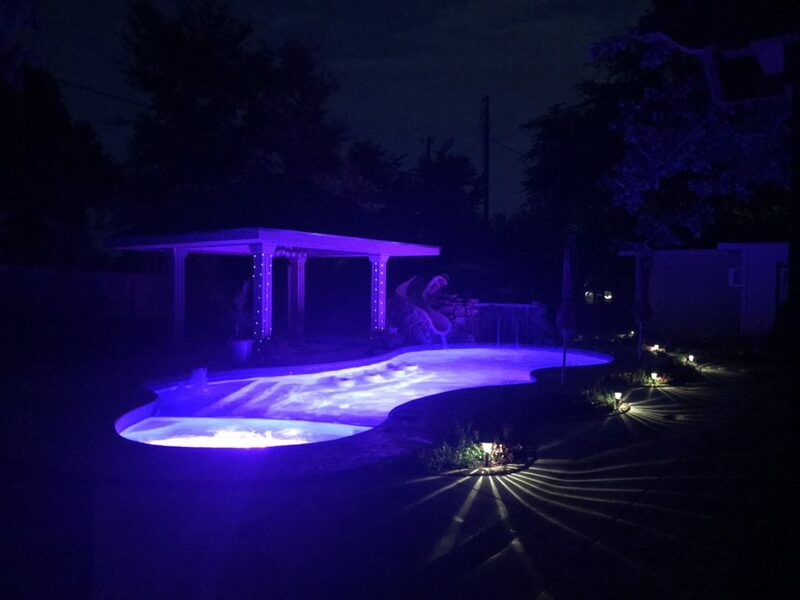 The Pleasure Island fiberglass pool shell is compatible with the addition of LED Laminar Deck Jets to create a breathtaking water feature. 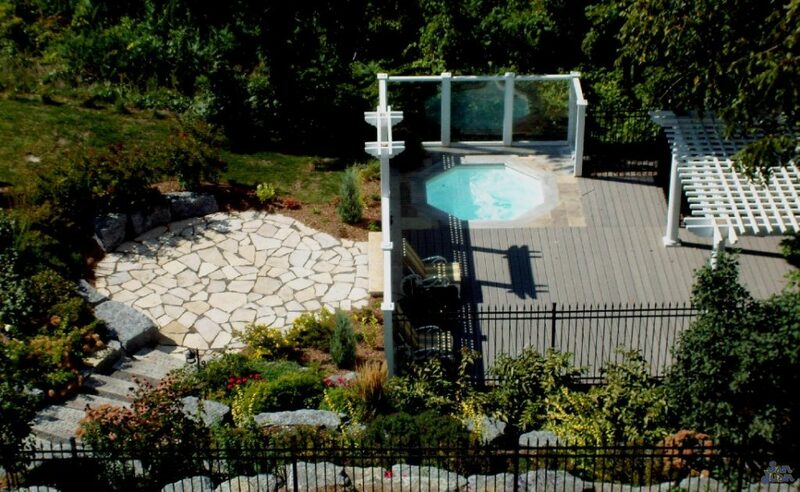 Likewise, Natural Travertine Decking is also a great add-on and looks absolutely gorgeous when applied with a natural stone sealer to give it that fresh wet look all year round. 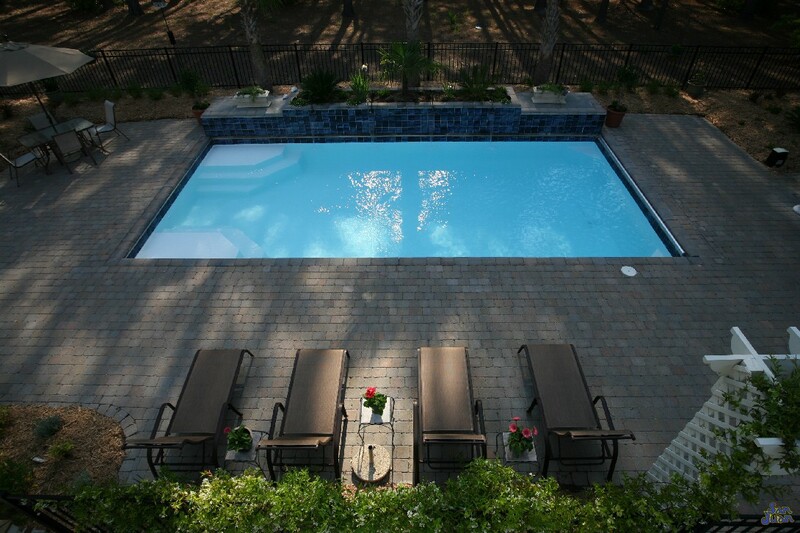 When it comes to the Pleasure Island swimming pool, the possibilities are endless! 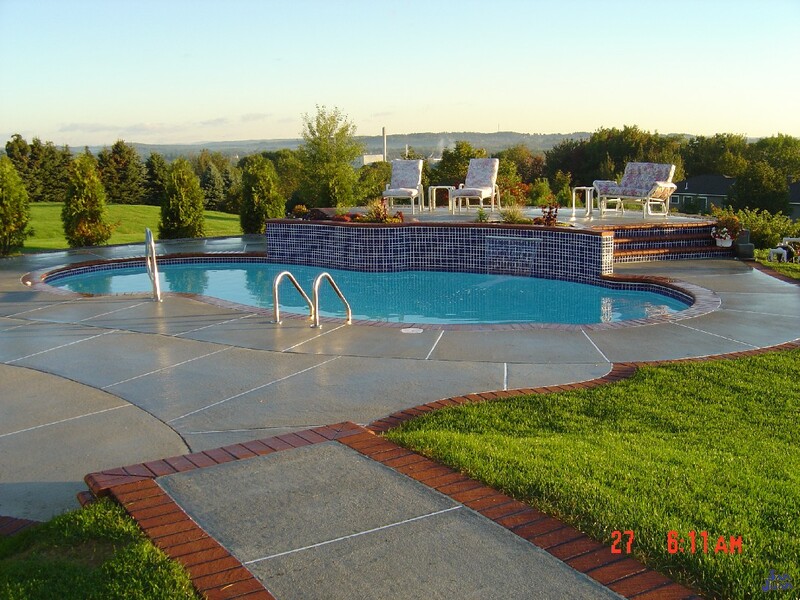 The pool features a single set of entry steps and a 6-foot deep end for the biggest of swimming enthusiasts. The Pleasure Island provides “pleasure” for everyone! 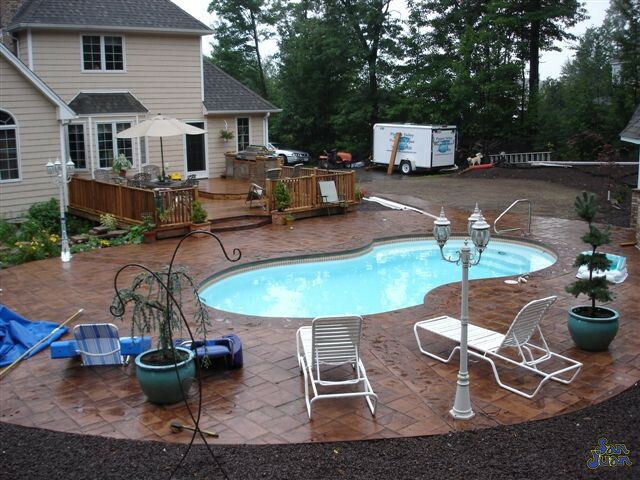 If you would like to gain some more details on this pool shape, we invite you to contact us today. 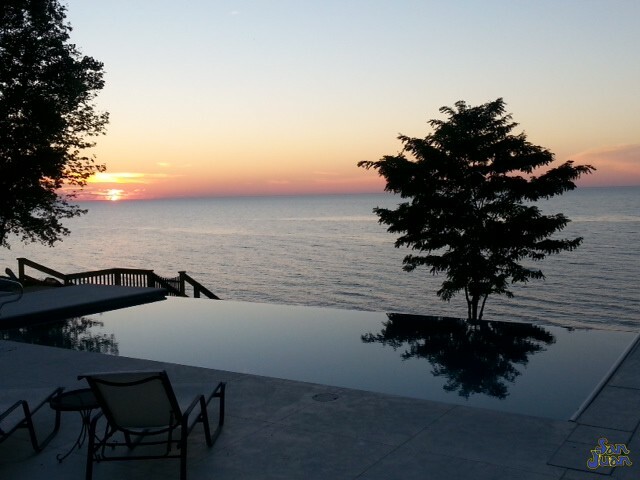 We would be happy to show you some of our happy customers portfolios! Lastly, as always we would be happy to provide you with answers to any questions you may have! 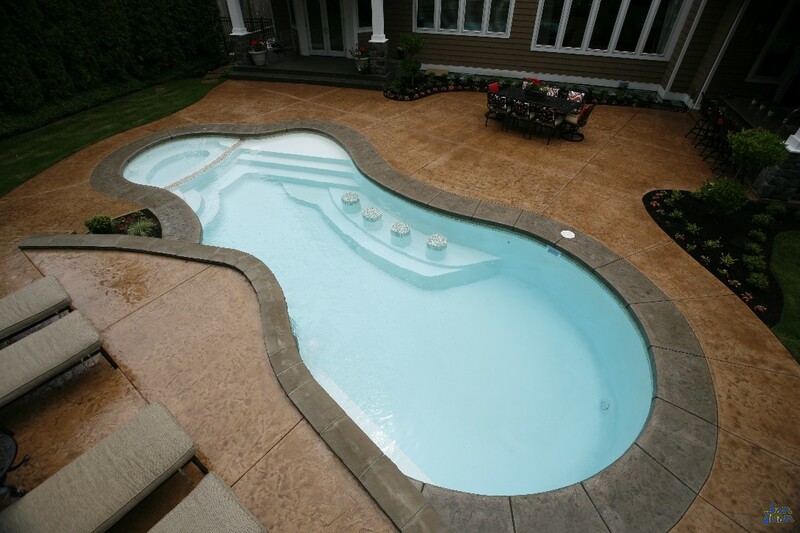 We are chocked full of amazing pool shapes and designs. 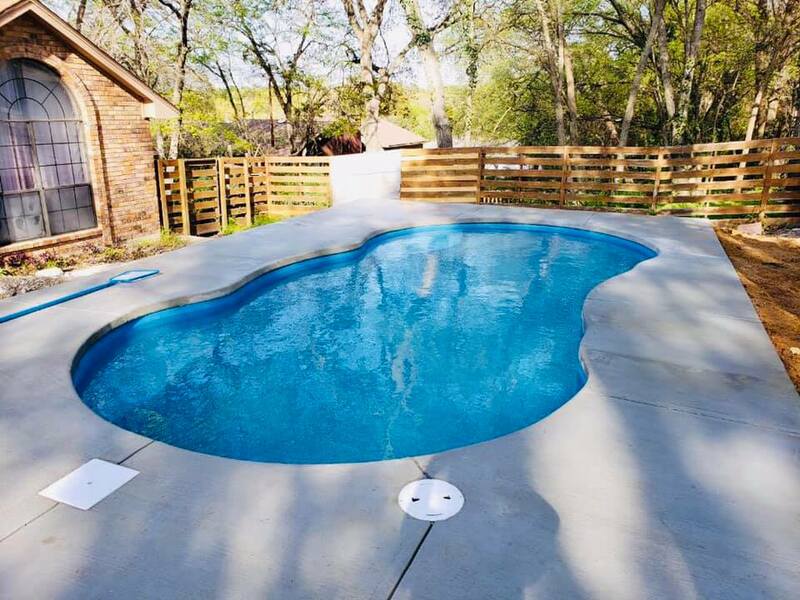 We at Fiberglass Pool Guyz are so excited about the beauty of this recent Pleasure Island fiberglass pool shell installation — and you should be, too! 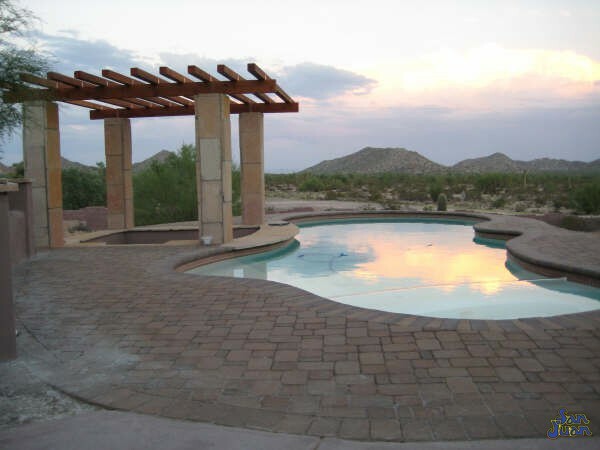 Check out our inventory of convenient and good-looking pool shapes and designs today. 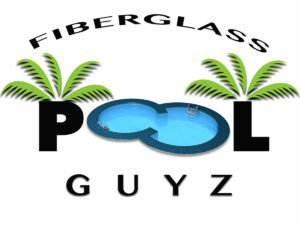 And don’t forget — with the super-fast installation that we offer at Fiberglass Pool Guyz, we can get your swimming pool installed in as little as four weeks! 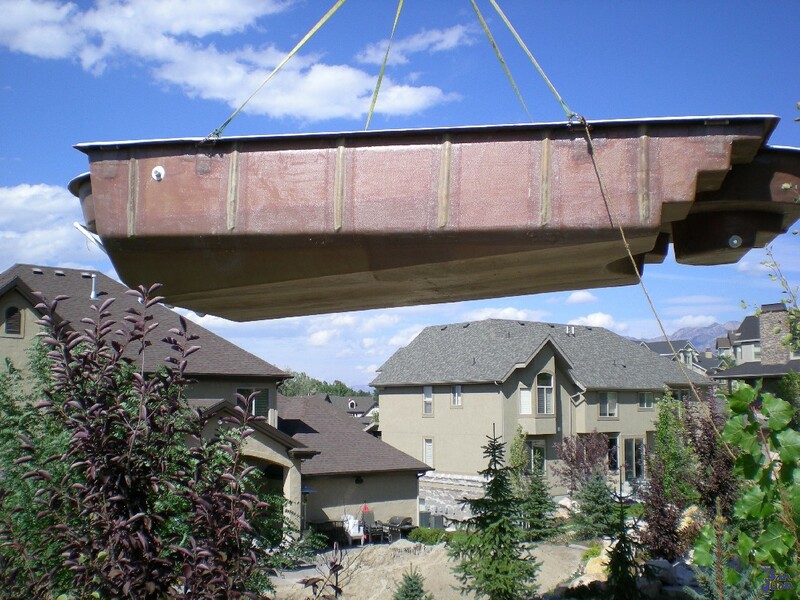 So, although summer seems to be coming to an end, there’s still plenty of time for Fiberglass Pool Guyz to install the swimming pool of your dreams for you to enjoy this season (especially with that luxurious, built-in hot tub!). That sounds like a win to us!